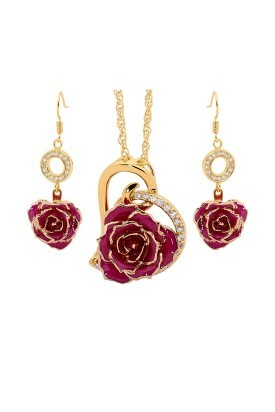 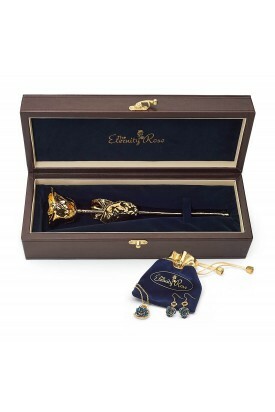 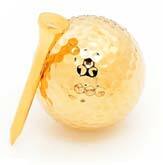 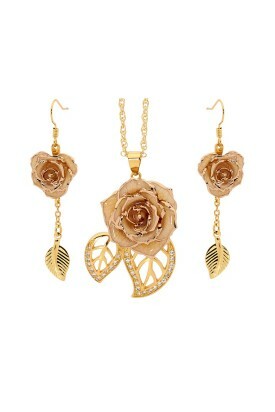 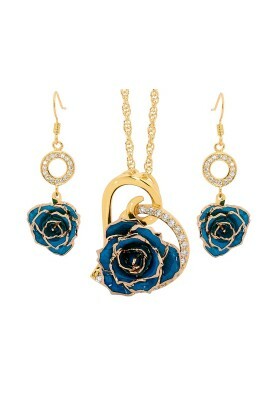 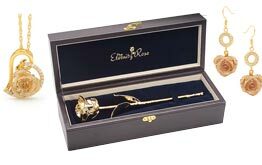 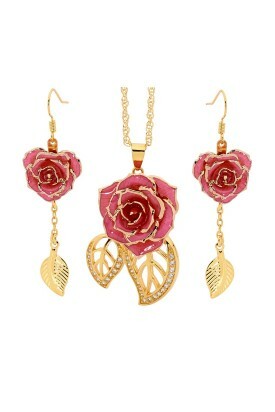 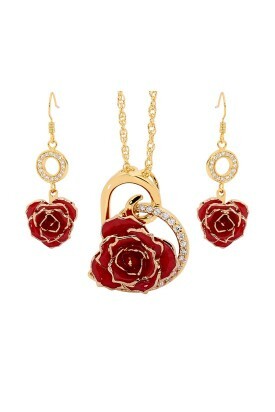 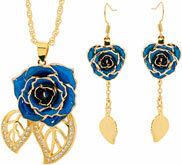 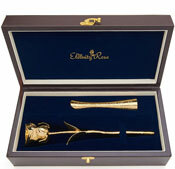 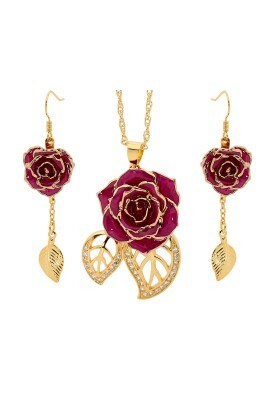 An exquisite gift set which includes a 24k gold-dipped rose with matching pendant & earrings. 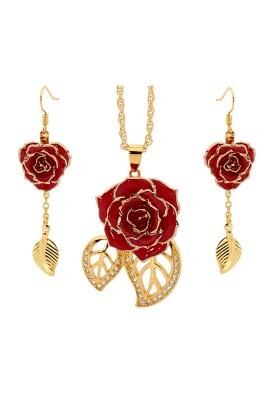 The pendant & earrings are made from 24k gold and include a miniature rose bud made from natural roses petals which are glazed and trimmed with 24k gold. 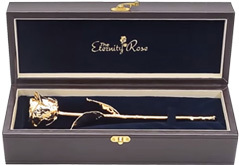 The set is presented in a leather display case with rose and velvet jewelry pouch enclosed, along with a certificate of authenticity.